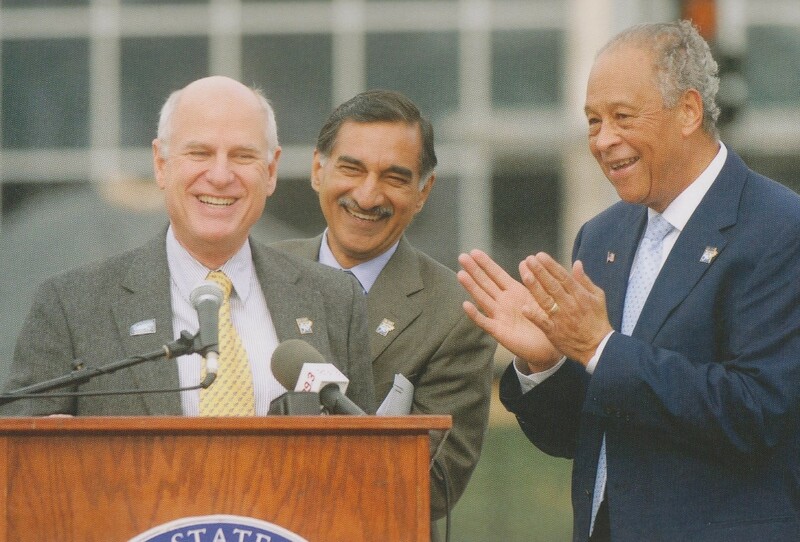 Alumnus, donor and namesake Steven G. Mihaylo ’69 (left) is surrounded by then Mihaylo College Dean Anil Puri (center) and Cal State Fullerton’s then President Milton Gordon at the dedication of Steven G. Mihaylo Hall in 2008. 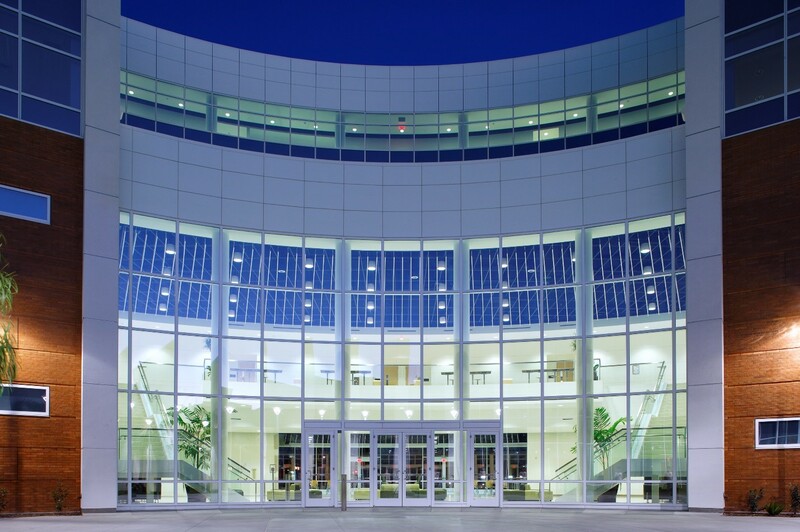 10 years ago this fall, the Steven G. Mihaylo Hall was dedicated, providing a modern and versatile home for Cal State Fullerton’s business college, the largest accredited business school on the West Coast. The college will commemorate the anniversary with a celebration featuring alumni, donors, faculty and staff on Sept. 28. On Oct. 17, 2008, Cal State Fullerton’s President Milton Gordon and Dean Anil Puri invited elected officials, university leaders, and members of the college and Orange County business communities to the dedication of the 195,000-square-foot Steven G. Mihaylo Hall, named after the telecommunications entrepreneur and alumnus whose generous philanthropy supported the facility upgrade for the largest business college on the West Coast. The construction of the new home, befitting the more than 10,000 students and hundreds of faculty and staff members who together make up the daily face of the college, had been a multiyear task supported by a $50 million capital campaign, led by the generous support of Emulex Executive Chairman Paul Folino and James Woods ’67, the late chairman emeritus and former CEO of Baker Hughes Inc.
On that Friday in 2008, in which then California Insurance Commissioner Steve Poizner gave a keynote address and distinguished members of the college community buried a time capsule in the new building’s courtyard, many Southern California business leaders questioned the future of the economy that the college’s graduates would enter. The worst downturn since the Great Depression was in full swing. But the opening of the new college facilities were emblematic of the recovery that was soon to follow. As the economy roared back to life in one of the longest and most powerful expansions in modern American history, Cal State Fullerton’s business college exceeded even the expectations of its supporters in taking an integral role in preparing a new generation for success and leadership in the local, national and global business sectors. Hosting thousands of students, hundreds of faculty and staff, and regular events featuring the broader Orange County community, Steven G. Mihaylo Hall must handle a massive amount of use on a regular basis. But with the $89 million, five-floor, HOK-designed building incorporating the latest in safety, efficiency and sustainability, the college’s dedicated home is up to the challenge. Each weekday during the semesters, the college serves 7,125 students, who enjoy the ease of access due to the location at the front of the campus, with connectivity with parking and off-campus dining and lodging. Renewable design ensures the maximum impact of natural light, while all aspects – from the carpets to the restrooms to the stairs – are specifically designed to minimize the impact on the environment while best serving the many people who together make up the college community. Perhaps the greatest testament to the college’s relationship with the surrounding communities are the dramatic vistas of a broad area of Orange County and the Los Angeles County Gateway Cities regions visible from the upper floors. 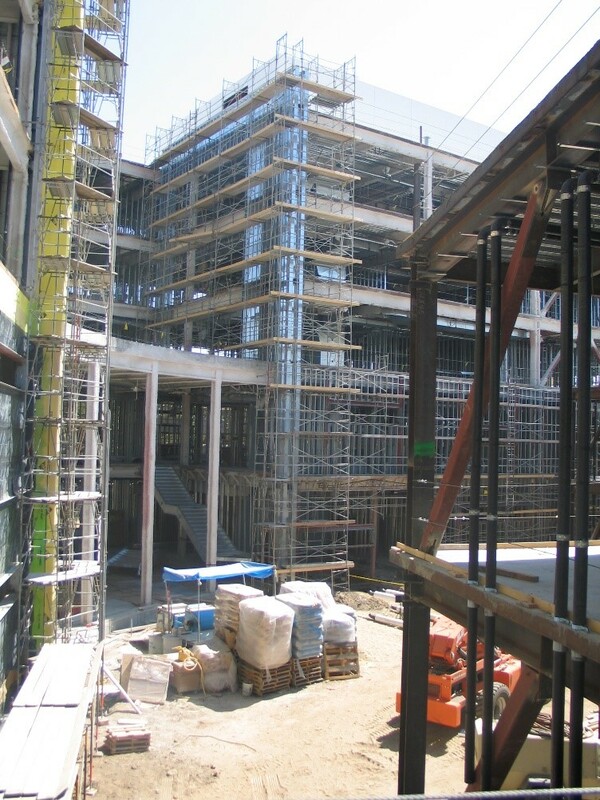 While the business college’s move from shared quarters at Langsdorf Hall to the spacious Steven G. Mihaylo Hall may have been the most visible sign of progress for the college community in the late 2000s, it was but one of many efforts to ensure a high-quality, versatile, affordable and inclusive educational experience for students from Southern California and around the world. In 2009, the college launched the Business Honors Program, giving achieving students exclusive access to a top-tier professional and academic education and an invaluable network on par with similar programs offered at venerable private institutions. Three years later, thanks to the support of its many donors and supporters, the college launched the Mihaylo Tutoring Center, providing assistance for students with bottleneck courses. Another new addition was Mihaylo Career Services, a forum for business students to attain maximum career readiness and to network with employers from every sector of the economy. In the past decade, Mihaylo College has conferred more than 18,000 undergraduate degrees, many of them to students from historically underrepresented demographics and first-generation backgrounds. The college has consistently been recognized as a leader in awarding undergraduate business degrees to Hispanic and Asian-American students and has been a leader in educating international students, welcoming aspiring business professionals from nearly 60 countries. In 2015, the college launched the Women’s Leadership Program, giving female students the opportunity to gain from the experience and insights of successful professional women as they develop their own leadership acumen. Staying attentive to the technological and societal changes remaking the business world, the college has launched seven new concentrations within its B.A. in business administration over the past decade, focusing on actuary science, human resources, insurance and risk management, legal studies, operations and supply chain management, accounting analytics, and economic analytics. Recognizing the potential of online education, the college launched an online undergraduate business administration degree program in 2012. It also offers an online M.S. in information technology that has been widely recognized, as reported in publications such as U.S. News and World Report. A focus on applied educational experiences has defined the college’s new course offerings and programs in the past decade. Most notable among these is the Titan Capital Management (TCM) program, which was founded in 2012, providing an introduction to equity and bond investment through a real-world investment portfolio. In December 2016, the program was further enhanced with the opening of Titan Capital Management, a trading lab experience made possible through the support of alumnus Jeff Van Harte ’80. Steven G. Mihaylo Hall by night, looking inward from the courtyard. While the origins of the business college’s Centers of Excellence – self-supporting entities providing a connection between academics and business-related fields – go back decades, the network of centers and their individual and collective impacts have grown substantially in the past decade. The Center for Insurance Studies has become the largest and most active risk management and insurance program on the West Coast. Founded in 2011, the Center for Leadership has provided networking and professional development for hundreds of students and organizational development for local firms. Ensuring the continued economic and financial literacy of Southern California’s younger generations, the Center for Economic Education has developed a multi-faceted outreach to local K-12 students. The Sales Leadership Center, connecting students with sales-related careers while providing a talent pool to related businesses, was established in 2009. Entrepreneurship and small business development have grown as a focus for the college. 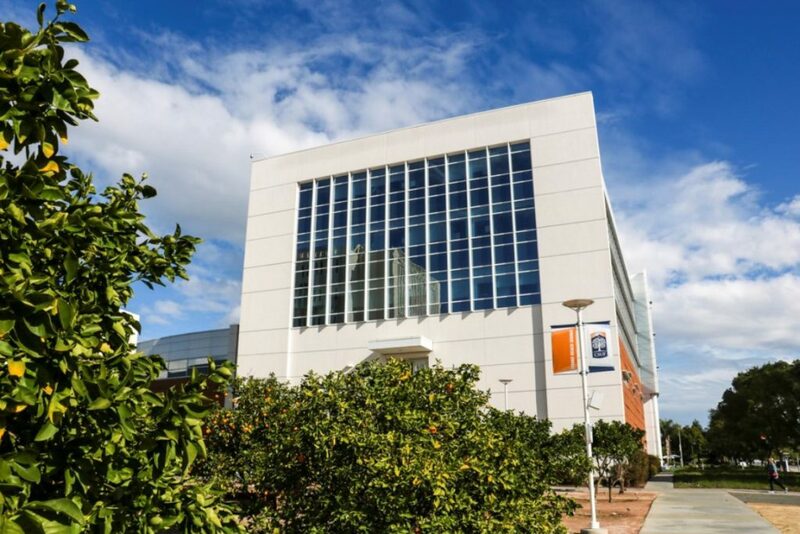 In 2014, the CSUF Startup Incubator opened in Placentia, providing a venue for advising and support for Orange County entrepreneurs with or without a connection to Cal State Fullerton. The incubator opened a second location at the CSUF Irvine Center in 2017. The Center for Family Business has expanded its network and established an annual peer-nominated Hall of Fame awards event, while the office of the Small Business Development Center (SBDC) housed in the business college has broadened its outreach to the diverse Southern California community with a new location in Irvine and national record assistance at connecting startups with capital. Since 2008, the college’s faculty have published 1,076 peer-reviewed journal articles. From the role of technology in contemporary workplaces to the behavior of stock market volatility, many of these studies have been widely used by the professional community, in addition to citations by academic researchers. Mihaylo College seeks to continue to build a diverse, versatile and engaged network in the Southern California business community. The Executive Council is an advisory group comprising business executives from Southland firms seeking to increase the college’s visibility in the professional world and enhancing the education of the next generation of leaders. Many of the centers, programs and departments within the college also have opportunities for targeted involvement based on industry. For more on how to connect, please reach out to Trish Reed, associate director of corporate and foundation relations, at trishreed@fullerton.edu or 657-278-7918. Students taking summer courses can enjoy a quieter campus and plenty of parking while they work toward their degree or general education.